The Pavement opposite the Jehangir Art Gallery in Mumbai is is known for year-long exhibition of paintings of budding artists, who couldn’t get a place at the renowned art gallery. The Pavement opposite the Jehangir Art Gallery in Mumbai is is known for year-long exhibition of paintings of budding artists, who couldn’t get a place at the renowned art gallery. The area is also known for the Kala Ghoda Art Festival. But now, another feather is added to its Bohemian charm. The State Tourism Development Corporation and Brihanmumbai Municipal Corporation have roped in political cartoonist Vikas Sabnis and sketch artist Rupali Madan, along with 23 other artists, to present their art forms including folk dance and music, for art lovers in this open art gallery every Sunday between 11 am and 9 pm. THE OLD Woman’s Shoe at Kamala Nehru Park atop Malabar Hill is an iconic structure associated with Mumbai for years. 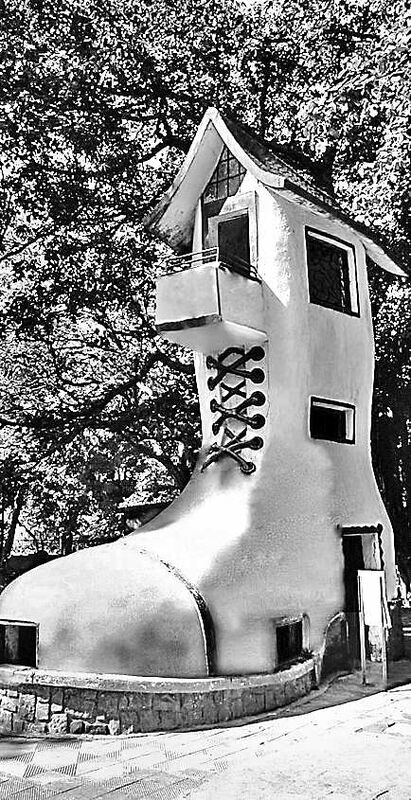 The structure, inspired by the nursery rhyme ‘There was an Old Woman Who Lived in a Shoe’, has been a source of amusement for millions of children in the city for years. Soli Arsiwala, the architect who conceived the structure, recently breathed his last at the age of 91. He had stopped working in the ’80s, but used to occasionally visit the park until recently to see children playing at the shoe-house. Arsiwala was also behind similar fairy tale-based structures at Vihar Lake garden. At a time when hardly anyone cares for children while designing public places, Arsiwala stood apart. The Western Railway has recently put up signboards on stairways, but made itself a laughing stock due to blunders in translating English slogans to Marathi. A Marathi sign read “Krupaya lahan chendu gheu naka”, which literally means “Please do not take small balls”. What the railways actually wanted to say was clear from the sign in English which read, “Please do not take shortcuts”. The railway authorities blamed ‘Google Translate’ for the embarrassing gaffe. 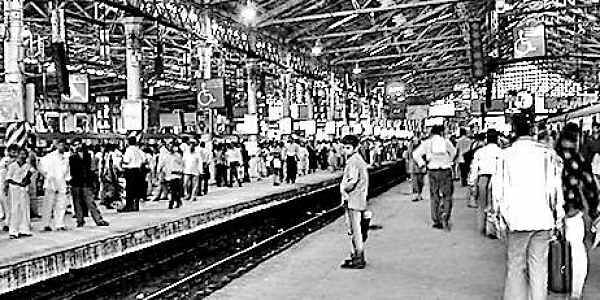 Social Media was abuzz with rumours that all long-distance trains on Western Railway originating from Mumbai Central Station were to be re-routed from other terminals in the city and the place would be used for either Metro project or a residential complex. Adding grist to the rumour mills, the IRCTC ticket-booking app did not accept the station code BCT for reservations post January 1, 2018. It took some smart passengers to find out that the code has been changed to MMCT and the change would come into effect from New Year. Till then, the station remained lost for many passengers. Mumbai has been a tourist centre for a long time, but attempts to strengthen tourism infrastructure in and around the city are new. The Central Railway, which recently added the ‘VistaDome’ coach with a glass roof to the train services on Konkan Railway route, is reaping rich dividends from it. In about a month’s time, with 87 per cent more passengers, the railways have made an additional income of `16 lakh from the special coach. The railways is working on adding more such coaches to various trains; the State Tourism Department is planning to start a luxury cruise liner service to Goa and Maldives from Mumbai.